Anybody, who can persuade people for buying an investment product, can be a broker. He/she doesn’t require a professional degree for the same. But, all the brokers don’t have good investment skills, though they are excellent persuaders. As a result they end up wasting people’s money. They often lack competent knowledge about the financial products. People, who are seeking a broker to make investments, should be cautious of the ratings provided to brokers, as they could be bogus. Brokers, in order to complete their targets, keep forcing people to buy products about which even they are not aware of. So, it’s on your part that you read the documentation completely and understand the investments; you are pooling your money in. Brokers usually sell you those financial products, which are in their interest. They don’t care about the interest of investors, rather they care about the products they are paid the highest commission for, and even if such products are not beneficial for investors. Brokers push the sale of products; their company is putting emphasis onto. So, investors should be aware of their investments and should take full knowledge about the same from their brokers or from other sources. Do ask your broker about his/her share in the investment you are making or how much benefit he/she derive from it. Brokers fascinate clients by tempting them with a contest for a trip or a TV, thus making them pooling their hard-earned money on long-term ventures that restrict liquidity. So, be cautious of broker’s such activities. Brokers, who carried out their activities aggressively in the past and were inflicted with fines, could come in the market again. Thus, do examine disciplinary records of brokers, so as to confirm their authentication and don’t go with the one, who changed his employers many a times. Brokers often allure investors by releasing reports that boast about the brokerage firms more than what they really possess. A number of brokerage firms are associated with investment banks to help raising capital for them or for enhancing their publicity in return of huge fees. The research reports are released to boost trading, so investors should be skeptical about the same. Sometimes investors experience scenarios, when along with the brokerage charges, stock trading fees are also deducted from their assets. 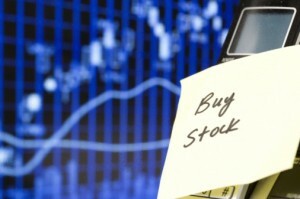 To make additional money, brokers lend your stocks to investors, who want to take a short-position. No credit is accredited to the investor’s accounts by broker’s such activities, while he himself charges high in lending the money to other customers. A brokerage firm always attempt to get maximum benefits out of its product. Brokers could inflate the trade by adding mark ups to it, even though initially it would have seemed commission-free to you. Investors should be conscious about such unrevealed markups. After you get involved with a broker on an agreement, you would find him/her avoiding your phone calls. This is the case, complained by many clients. So, its recommended that before making any deal, do clarify your broker that what sort of communication level you expect. So, investors need to be vigil about their choice of broker. Be aware of market scenario and don’t get befooled by a nasty broker.